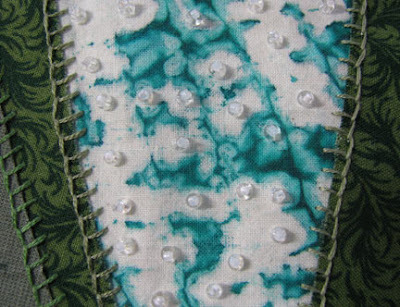 The pattern left by the stitching in my background fabric made some natural spots to add beads. I chose white and clear beads, many with an aurora borealis finish to give the sort of sparkle that you'll see on a snow field. 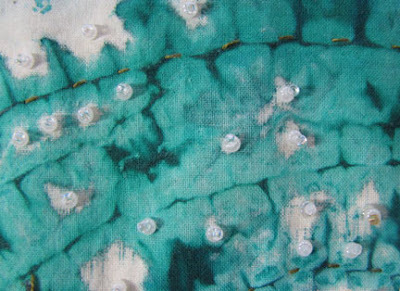 My painted fabric isn't an exact representation of the snowy mountainsides, obviously, and the beads help to give more of that glitter, at least when you see the quilt in real life. 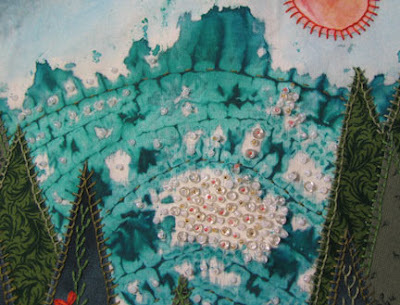 In the center of the quilt was a larger patch of unrelieved white, and I decided to do a cluster of beads there, which would include some soft orange and gold beads to suggest a reflection of the sun. 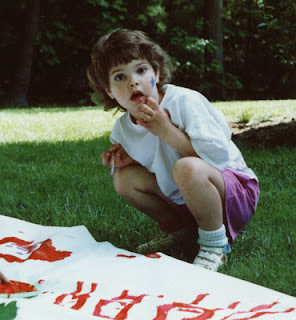 The beading took many hours...even though it wasn't complicated, there was a lot of ground to cover! Finally, I was able to take the finished quilt top and make a quilt sandwich with a thin layer of natural cotton batting and a piece of backing fabric. I pinned the quilt together around the outsides and along the interior lines that I planned to stitch. 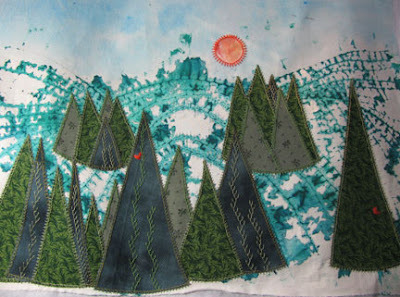 Using three strands of green embroidery floss, I quilted through all layers by hand, just along the lines that separated the various hills. I continue to be so impressed with this! I cannot wait to see what comes next Cyndi!